Samford University’s national reputation continues to be affirmed in the latest College Atlas ranking of the Best Christian Colleges in America. Coming in at #5 on the list of the top 150 Christian colleges and universities, Samford received high marks for academic quality, accessibility and affordability. College Atlas, a digital news and information platform designed to empower students and the academic community to make more informed decisions about higher education, reported that of the 7,500 accredited colleges and universities in America, 880 schools report a Christian religious affiliation. College Atlas considers the defining aspects of a Christian college or university to be dedication to the integration of Christian faith and learning in traditional academic fields and maintenance of those teachings as a focal point of their school’s mission, values and curriculum. The Best Christian Colleges methodology examined a number of significant factors in three categories. For academic quality, they studied student-faculty ratio, enroll rate, first-year retention rate, six-year graduation rate, early and mid-career average salaries of graduates, academic, employment and job placement services and Christian-specific accreditation. They also examined the balance of accessibility with acceptance rate, number of students enrolled and number of programs offered. Finally, for affordability, they compared in-state undergraduate tuition, percentage of students receiving financial aid, average amount of aid compared to tuition, median debt, and Yellow Ribbon/GI Bill availability. The latest College Atlas ranking continues a trend of national recognitions for Samford’s academic programs. Samford is nationally ranked for academic quality, affordability and value by a variety of major rankings, including U.S. News & World Report, Forbes Inc., The Economist, Kiplinger’s Personal Finance and The Wall Street Journal. 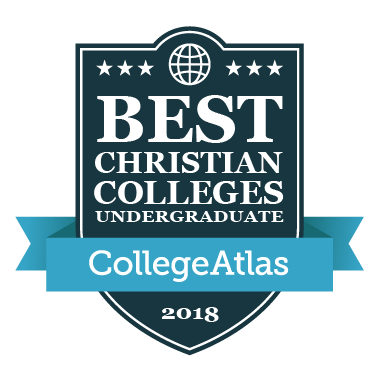 For a full list of the College Atlas Best Christian Universities rankings, go to https://www.collegeatlas.org/best-christian-colleges.